Online English Classes using Skype, Hangouts and Facetime suitable for both Business users and Beginners. Noelle is the Director of Language Learning WorldWide, and has 20 years experience of running English and Spanish language schools. She has a background in Education, Tourism, and Hotel & Club Management. Noelle lives near Pedreguer with her husband John. Caroline's background is in office management and human resources. She also worked as a translator and editor of global market research reports. Caroline is a fully qualified teacher of English as a foreign language, and now lives in Caudete surrounded by olive and almond trees. 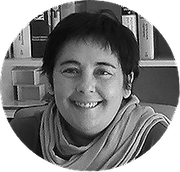 Cristina is an associate member of LLWW and mainly teaches Spanish. She also speaks English and German, and lives near Denia. Why choose us for your Online English Classes ? Here at LLWW, we have a passion for Language. We truly enjoy teaching English using the flexibility of Skype, Hangouts and Facetime. We use our understanding of business needs and our teaching experience to help develop your English skills and achieve your goals. Here at LLWW, our online English classes allow you to learn English wherever you want, whenever you want, choosing class times that fit around your lifestyle. English language is becoming more important in business everyday, and our 1-to-1 online classes can be related to your current work in progress. Improve your Business English at your desk in easily manageable 1/2 hour classes using Skype, Hangouts and Facetime. Feel confident about your verbal and written communications in English. Pick and choose the time and day of your class. Improve your Business English at your Work Desk. Review an email or ppt presentation. Practise for an upcoming Interview, Meeting, or Presentation. Communicate more easily with your colleagues in English. Free additional English Language Resources. Choose the Topics you need to Discuss. Take as many classes as you want per week. For help with upcoming Business Meetings, Interviews and Exams, or any other Business English needs you have, all our online 1-to-1 English Classes can be customised to your particular career. Contact us for more details of our Online English tuition. Take the first steps to improving your English skills easily and quickly with our online English Classes.